Grand Park is indeed a skier’s mecca. The area’s resorts provide plenty of downhill ski options. Another style of skiing – cross-country skiing – is quite popular in the area as well. Unlike downhill skiing, which relies on gravity to propel the skier downhill, cross-country skiers propel themselves using longer poles and longer, thinner, skis. This allows skiers to tour longer distances across a wide variety of terrain. 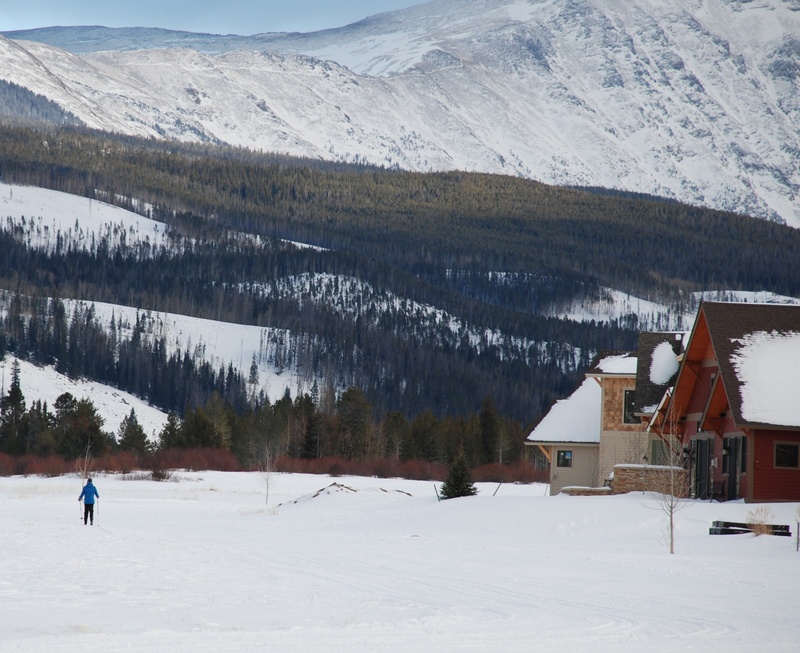 The Grand Park area also has numerous cross-country skiing options, including local resorts and backcountry trails. 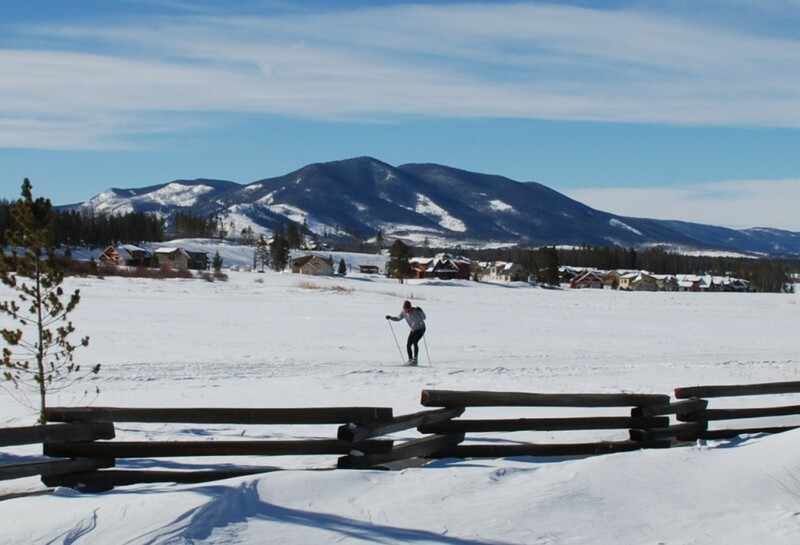 In fact, some of the area’s best cross-country skiing is available right in Grand Park! That’s right – our open spaces include miles of cross-country ski trails for our residents and guests to enjoy! The rolling meadows in Grand Park’s open spaces are the perfect venue for an exciting cross-country ski tour. Our trails are meticulously maintained, with a routine grooming schedule to keep the trails smooth and fast. Grand Park’s woodlands west of the train tracks offer even more adventure options, totaling roughly 1700 acres of outdoor space available to residents and guests. 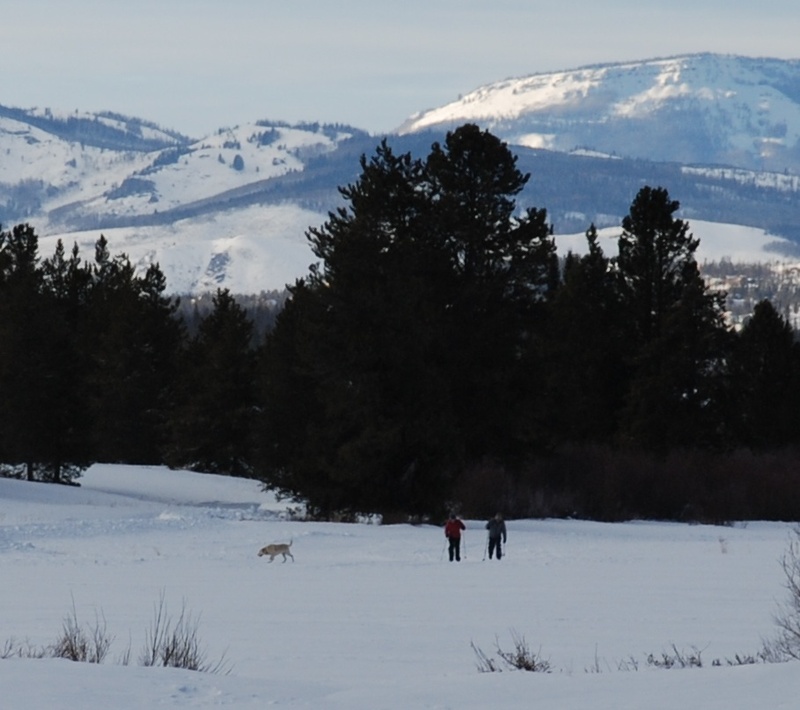 Grand Park’s trails are some of the widest in the area, which allows plenty of room for all three styles of cross-country skiing – classic, skate skiing, and skijoring (a style of skiing that includes being pulled on skis by a dog). Perhaps the best thing about skiing in Grand Park is that residents are able to access our trails right from the comfort of their homes. That’s right – you can literally ski right from the back door of your mountain home in Grand Park! A skier’s mecca, indeed! Our open spaces and cross-country ski trails (which, by the way, also make for exciting hiking and biking trails during the summer months) are among the many reasons why we think Grand Park is such a great mountain community. 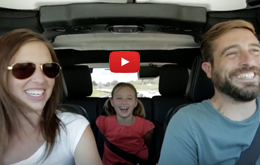 Between the open spaces and trails, exciting dining and entertainment options, beautiful mountain homes, and a friendly neighborhood to boot, there’s a whole lot to like about Grand Park! For more info about Grand Park, or to schedule a visit, contact us today! Give us a call at 970-726-8700 or email info@grandparkco.com.